U.S. OPEN: Will Tennis Survive After Serena Williams? NEW YORK — The cliff is always there. The road is always going to end. But the joy ride is just too fun to worry about it, or to do anything about it. The Indianapolis Colts have been riding Peyton Manning for years, building everything around him. And now, suddenly, the cliff: He apparently has had neck fusion surgery and will miss the season. You’re reminded that at some point, sometime soon, the whole ride will end. Should the Colts have done something before now to prepare? Tiger Woods ran off the cliff, too. Golf was a thrill with him on top. Now golf is just golf again. 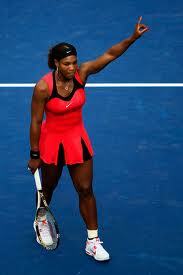 Serena Williams is driving perilously close to the cliff. Venus Williams, too. But Serena is so amazing in general that no one seems to notice how amazing her story has been these past two weeks at the US Open. Amazing is commonplace for her, expected. Her little daily affirmations would make a Hallmark card writer proud. 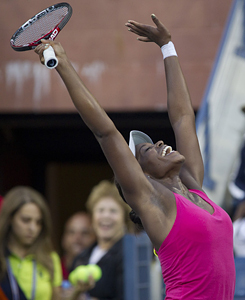 The US Open is always going to be a conflicted place for Stephens. She is the daughter of former New England Patriots running back John Stephens, who died in a car accident two years ago this week, days before his daughter would play at her first Open. “I still think about that,’’ she said recently. “Like I say, I played on Court 11 when I came back from the funeral, and it was crazy. I don’t even know how I played.